Introducing our new air sampling pump with data capture. 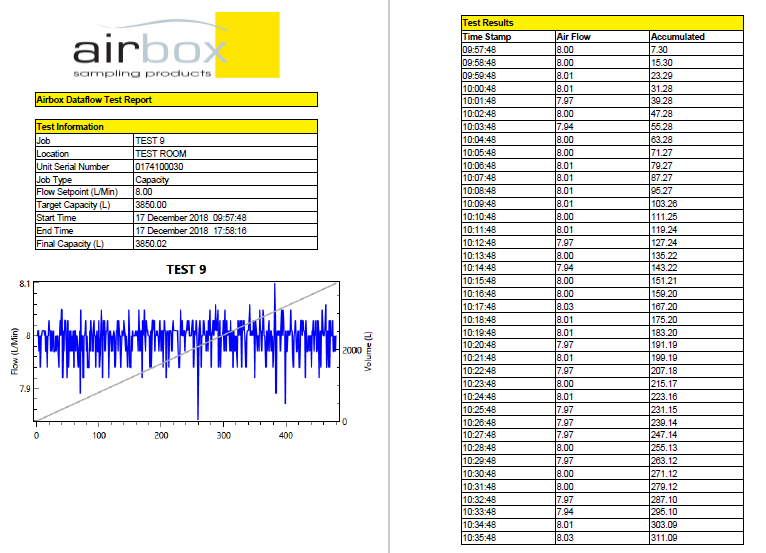 Designed exclusively for easy capture and retrieval of all asbestos air sampling test data. 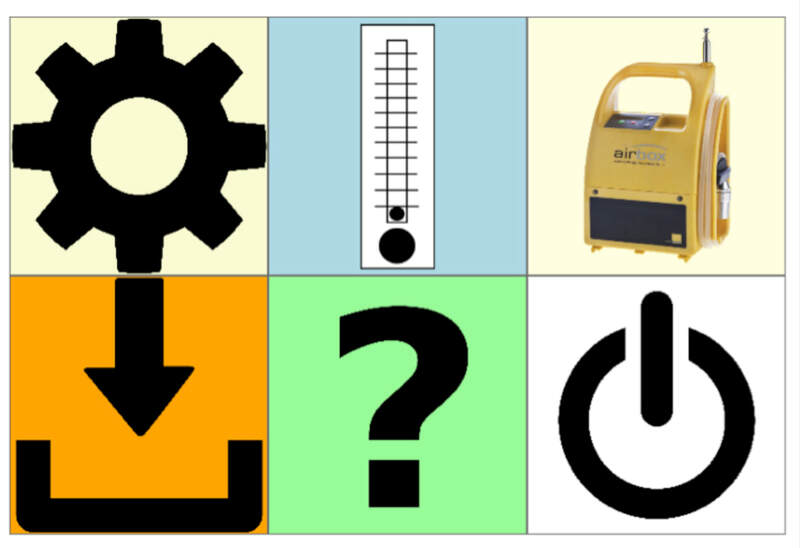 ​DATAFLOW is the top model in our range of air sampling pumps. Incorporating all the features and benefits of the VARIFLOW, the DATAFLOW allows full data capture and retrieval for archiving. 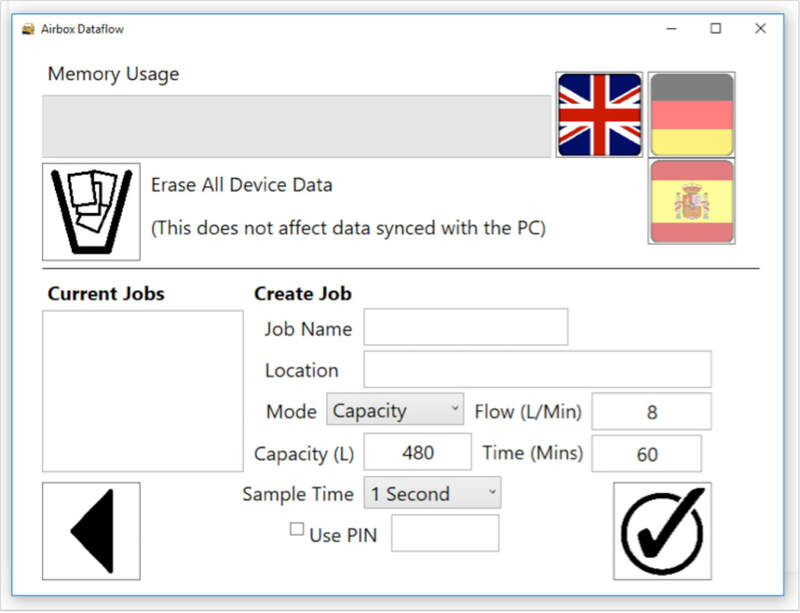 The Airbox Dataflow Application software is a custom built, bespoke interface connecting the DATAFLOW with any Windows based computer via USB. Operator can preset job data and upload to the DATAFLOW before going out on location. Data can be recorded every 1, 30 or 60 seconds for the duration of the survey. The data can be downloaded and archived for future reference.